It has been my experience that wishes are goals not written down. You can have what you wish for. It just takes a plan. 1. “I wish it were easier.” The old saying is true. If it were easy, everyone would be doing it. Your passion is fueled by your gift and it’s unique in it’s own way. Consistent, daily action is key to a successful business plan. You’re going to make mistakes, we all do, but that’s how we learn. The errors along the way might not make it easier, but the experience will make you better. 2. “I wish they’re weren’t so many problems.” Every obstacle has a solution. It may not become evident as quick as you want, but you’ll find it. Perseverance and patience come into play here. Overcoming challenges always gives me a new skill. It may be something I didn’t know, or something I knew, but haven’t used in a while. You always need to be persevering toward your outcome but be patient on the result. 3. “I wish it wasn’t so challenging.” If it wasn’t challenging, would you be interested very long? If it came easy and there were no problems, would you feel accomplished? As Entrepreneurs, we typically don’t back down from a challenge. They stretch and grow us into a better person. We become wiser and make less costly mistakes. It may be challenging, but it’s going to be worth it. Be the best you can be knowing that your business and you are going to get better and better. Whatever you do…don’t ever give up. 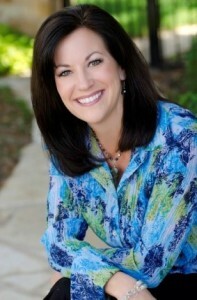 “Megan Tull is an Entrepreneur Success Strategist, Transformational Leader, Wife and Mother. Megan has been an entrepreneur for over 25 years and has built 7 businesses from the ground up, so she knows a thing or two about business. She is currently having a book published, that encompasses much of the work she assists her clients with called “The Passion Belief Method – Own Your Value and Earn Your Worth in Business”. She’s excited to be fulfilling one of her life long dreams! Her book is due out in the Spring. Megan has been offering life-changing programs; teaching women entrepreneurs and business professionals how to create a highly profitable business doing what they love; all while living an authentic, joyful life, based on balance and self care.